Single knob adjustment for thickness and centering. Pop-up pins for convenient corner stapling. Mounts easily to most work tables. 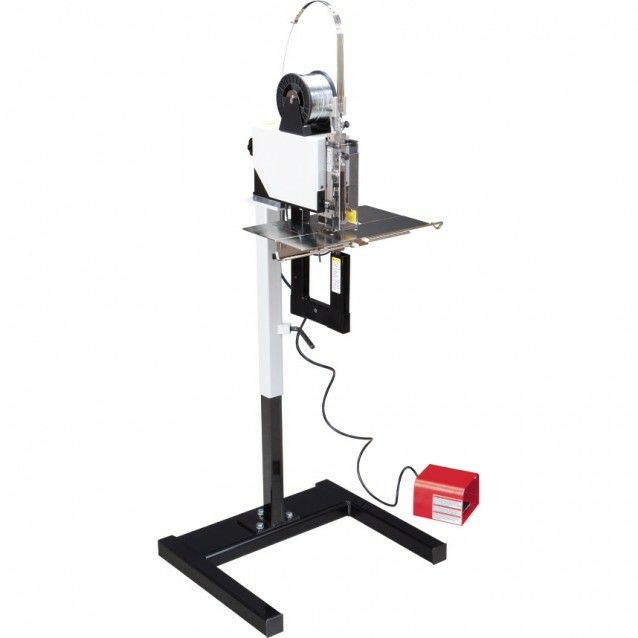 A conversion kit that allows two StitchMasters to be combined into a dual head stitcher.